Stab It! 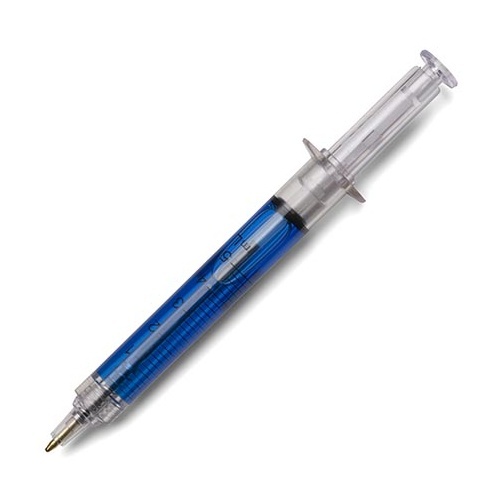 Syringe Pen | Inject some humour into your day! The perfect accessory for a nurse! Available with different liquid colours! 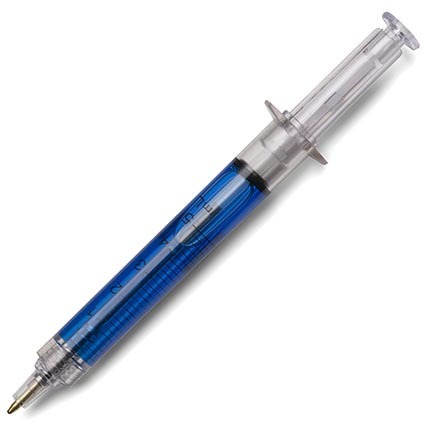 Inject some humour into your day with one of these unique pens that look just like a syringe! The perfect accessory for a doctor, nurse, surgeon or scientist, these classic pens feature red or blue liquid, realistic detailing with black writing ink. Every time you "make an injection", the pen extends to write on paper. You can play doctor and author at the same time, while making scary situations funny with some light (and mildly strange) humour. An excellent gift for a medical student or anyone in the medical profession. Made of plastic. The ink in the pen is black and is not refillable. Love this pen. Bought it as a joke for my work colleague (my work husband) who has a diabetic cat. He thinks it's funny. Very fun and unique pen!